The following telegrams contain the US government's records of the disastrous 1973 expedition of Maxine Asher and 70 other educators and students to find Atlantis. Sponsored by Pepperdine University, the group, led by the self-proclaimed "psychic" Asher, claimed to have found Atlantis off the coast of Cadiz. The fascist Spanish government of Franco mistook them for spies thanks to the US government's unusual advocacy of their cause, though Asher maintains to this day that the Spanish persecuted her and her group for weeks to hide their discovery of Atlantis, with support from "the Jews" and Catholics. As events spiraled into an international incident, National Security Advisor Henry Kissinger was notified, and Asher appealed by cable to President Richard Nixon for aid. The memos make quite clear that the US government never believed in the existence of Atlantis in Spain and that it was members of Congress and the media that pressured the Nixon administration to assist in the search for Atlantis. 1. EMB IS ASSISTING DIRECTORS OF SUBJECT PROJECT WITH GOS MINISTRIES. DIRECTOR ASHER MET WITH AMBASSADOR LAST WEEK. 1. ON 25 JUNE 72, THE CAPTAIN GENERAL OF THE MARITIME ZONE DENIED AUTHORIZATION REQUESTED BY THE ANCIENT MEDITERRANEAN RESEARCH ASSOCIATION FOR RESEARCH OFF CADIZ COAST. 2. THE DENIAL FORESEEN IN MADRID REFTEL. 3. PEPPERDINE SHOULD BE ADVISED OF PERMIT DENIAL WHICH WOULD SERIOUSLY ALTER PROGRAM, BEFORE STUDENTS DEPART US, JULY 5-6, DATE PROVIDED TO EMBASSY BY MAXINE ASHER. The text of telegrams describing the Pepperdine expedition's "continuing complications" has been lost. POSSIBLE DEPARTMENT REPLIES CONGRESS AND PRESS INQUIRIES. EMBASSY PLANS REFER PRESS INQUIRIES TO SPANISH AUTHORITIES UNTIL LEGAL ISSUES BETTER KNOWN. 2. ACCORDING INFORMATION IN PRESS SPANISH OFFICIALS HALTED ALL DIVING ACTIVITIES BY THE ATLANTIS GROUP FOLLOWING CLAIM BY GROUP TO HAVE PROBABLY DISCOVERED ATLANTIS. HEARING HELD JULY 23 BEFORE CADIZ MAGISTRATE TO ASCERTAIN GROUP'S PURPOSES. THIS PROCEEDING MERE INVESTIGATION, NOT TRIAL. ASHER REPORTED IN PRESS AS STATING GROUP WILL NOT APPEAR BEFORE MAGISTRATE PRIOR "SUMMIT MEETING" WITH AMBASSADOR AND GOS NAVY MINISTER, ALTHOUGH EMBASSY UNDERSTANDS SHE AND CO-DIRECTOR DID ATTEND. 3. 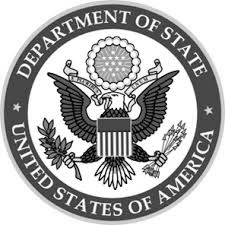 DEPARTMENT WILL RECAL (MADRID 3746) EMBASSY NOTIFIED WASHINGTON DENIAL SPANISH GOVERNMENT PERMISSION UNDERTAKE REFERENCE RESEARCH. COPY NOTIFICATION THIS DENIAL SENT ASHER, EMBASSY UNDERSTANDS. THEN, LETTER SENT FROM AMBASSADOR TO NAVY MINISTER REQUESTING RECONSIDERATION OF THEIR REQUEST (MADRID 3770) WHICH MINISTER DID APPROVE. HOWEVER, COMMANDER CADIZ NAVAL DISTRICT PROTESTED TO NAVY MINISTRY AND PERMISSION THEN WITHDRAWN. LETTERS FROM U.S. SENATORS IN ATTEMPT INFLUENCE DECISION. 1. TRANSLATED BELOW (UNESSENTIAL WORDS OMITTED) IS AN OFFICIAL ANNOUNCEMENT FROM THE PRESS OFFICE OF THE SPANISH NAVY MINISTRY WHICH MAY PROVE USEFUL TO THE DEPT IN RESPONDING TO INQUIRIES. 3. QTE THE LEADERSHIP GRANTED PERMISSION FROM THIS MINISTRY FOR THIS PURPOSE AS IS REQUIRED BY LAW NUMBER 60 OF 1962. THIS LAW CONCERNS MARITIME DISCOVIERIES AND THEIR REMOVAL, AND SETS FORTH A SERIES OF REQUIRED LEGAL STEPS. 4. QTE IN THE COURSE OF THE RELEVANT INVESTIGATION THE FOLLOWING WAS BROUGHT OUT AND SATISFACTORILY ESTABLISHED: THERE IS A GROUP OF FOREIGNERS WHO, MAKING USE OF THE STUDIES PROPOSED BY THIS EXPEDITION AS A COVER, WERE SEEKING PERSONAL GAIN, TO THE DETRIMENT OF THE NATIONAL INTERESTS WHICH ARE SAFEGUARDED BY THE LAW CITED ABOVE. 'SEVERE AND UNREASONABLE HARASSMENT IN CADIZ OF MY PEPPERDINE UNIVERSITY PROJECT BY SPANISH NAVY FOLLOWING DISCOVERY OF ATLANTIS IN INTERNATIONAL WATERS. HAVE ADVISED U.S. EMBASSY SPAIN, SENATORS TUNNEY AND CRANSTON PLEASE HELP -- 55 AMERICANS PROTEST UNFAIR ACTIONS MAXINE ASHER EDUCATION CONSULTANT PEPPERDINE UNIVERSITY"